Single serving molten chocolate cake loaded with mini snickers and caramel. 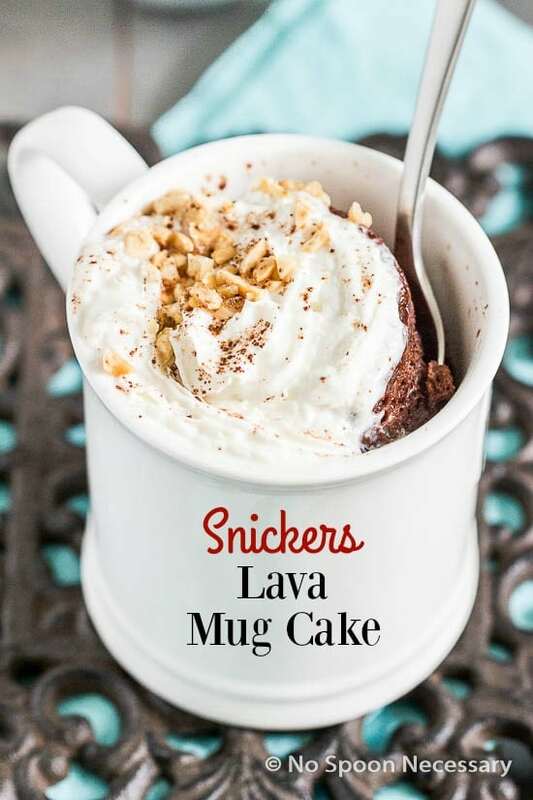 Made in minutes with the convenience of the microwave, this Snickers Lava Mug Cake is a great way to use up leftover Halloween candy or whatever candy you have on hand! This post was originally published in October 2015. I made edits to the photos and added a RECIPE VIDEO to show you how easy this is to make! However, the actual written words below in this post remain the same. Is your house decked out with spook-tastic décor? Have you jack-o-lantern’d a pumpkin or two? Are you up to your eyeballs in candy to hand out to the ghosts, goblins and ghastly dressed trick-or-treaters? If you said “yes” to all of the above, you are three steps ahead of me… and I don’t plan on catching up. But, before you look at me sideways (if you aren’t already), I have very good reason for not going into full throttle Halloween mode. If you follow this blog, you know Boy and I moved to N to the C a few months ago, to a rural area to be specific. And, we have been informed that we will not be getting any trick-or-treaters. Ever. So, I figured why put myself out, go all-things-that-bump-in-the-night bonkers, and decorate SuBourbon Country Cottage just for Boy and Dolce (<– our furry four legged daughter)? Especially when Boy doesn’t care and Dolce would just eat all the decorations. Therefore, I decided to say, “the heck with it” and use my energy to develop a recipe for you to utilize some of that candy instead. Really, the title should be, Leftover Halloween Candy Lava Mug Cake. I used Snickers and caramel in mine, because that happens to be Boy’s favorite. I bought them special for him so he didn’t feel too left out of all the fright night fun. But, you can use whatever miniature Halloween candy you would like or have an abundance of. If substituting, simply use 2-3 mini candies of choice. 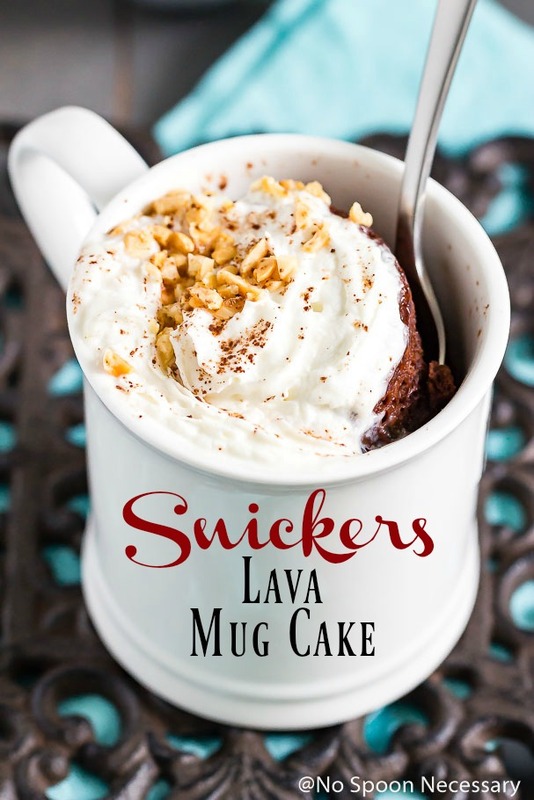 So, these snickers lava mug cakes – they are ridiculously easy and seriously delicious. These mug cakes have a molten, fudgy, ooey-gooey interior and a cakey exterior, almost identical to a lava cake. These delectable, individual “cakes” are decadent, super chocolaty, sweet, rich, warm and completely comforting. But, no cake is complete without a little somethin’-somethin’ on top. 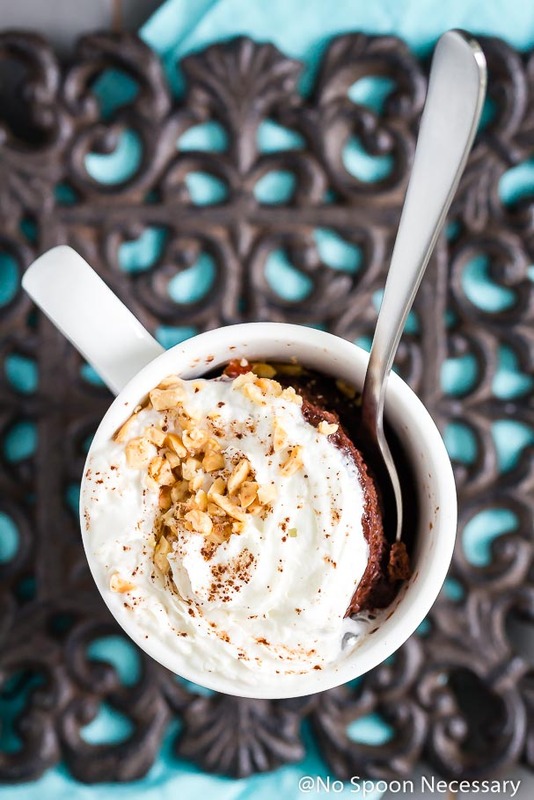 I topped my Snickers Lava Mug Cakes with whipped cream, coarsely chopped salted peanuts and a bit of cocoa powder. 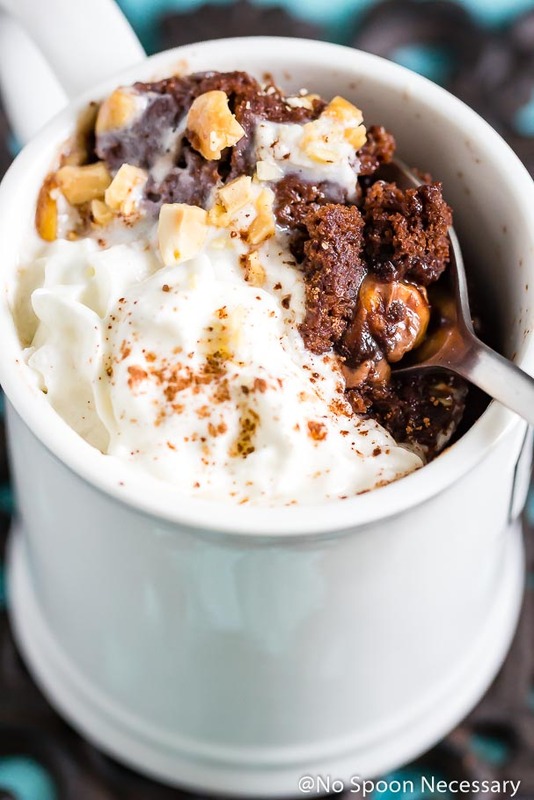 The garnish adds a touch of salty, crunchy, creamy, cool texture and flavor to the cake, but feel free to top your mug cake with whatever your little heart desires… a scoop of ice cream, caramel sauce, chocolate sauce, chopped candy or whole candy. 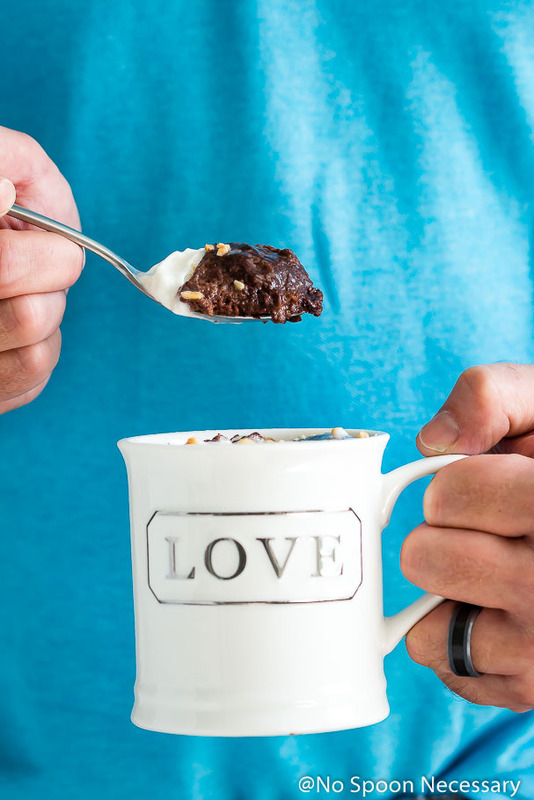 A mug cake is exactly what it sounds like – a cake made with classic cake ingredients in a portable mug! Mug cakes are great for a few reasons. For one, they are single serving, so you don’t have to worry about what to do with all that leftover cake! As well, mug cakes are made with the convenience of the microwave! 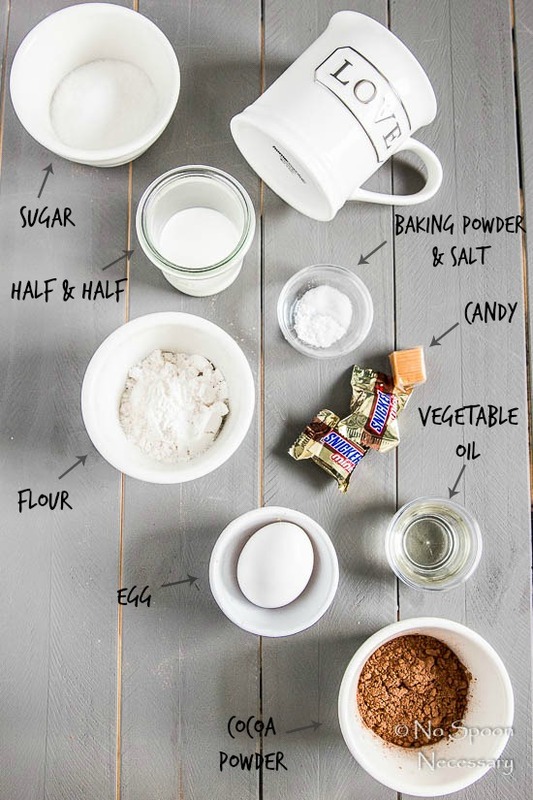 Simply mix the ingredients together in a microwave safe mug and pop it in the microwave! 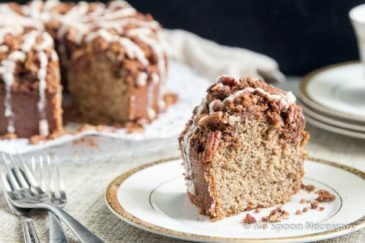 They are perfect for when that unexpected craving for cake strikes! Make sure you use something microwaveable. It doesn’t have to be a mug! Glasses, jars and ramekins will work! For the Lava Mug Cake recipe below, I highly recommend you use something tall whether it be a traditional tall mug or glass. Do not overfill the mug (or glassware). Mug cakes will rise quite a bit, so it is imperative you do not overfill the mug or you will end up with overflowing cake in your microwave. Microwave in 30 second intervals. Just like only filling the mug halfway, microwaving in intervals will help prevent overflow. The mug cake will deflate after completely microwaving, and that is fine! Just do not overcook it or fill it up anymore! Make sure you start with the shortest cook time listed in the recipe below. The mug cake is cooked when the top is slightly firm, yet still springy. So, stop wondering what to do with that plethora of Halloween candy. 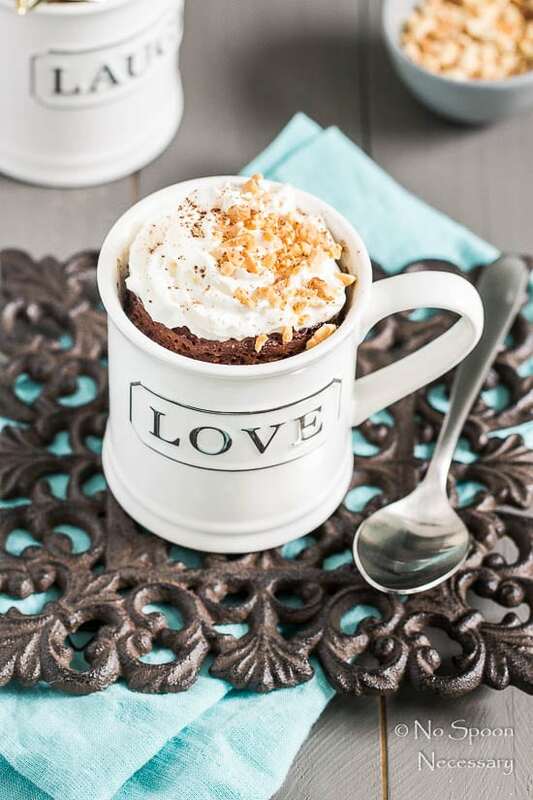 Be so sweet, make yourself something good to eat and toss it into a Snickers Lava Mug Cake! Single serving molten chocolate cake loaded with mini snickers and caramel. 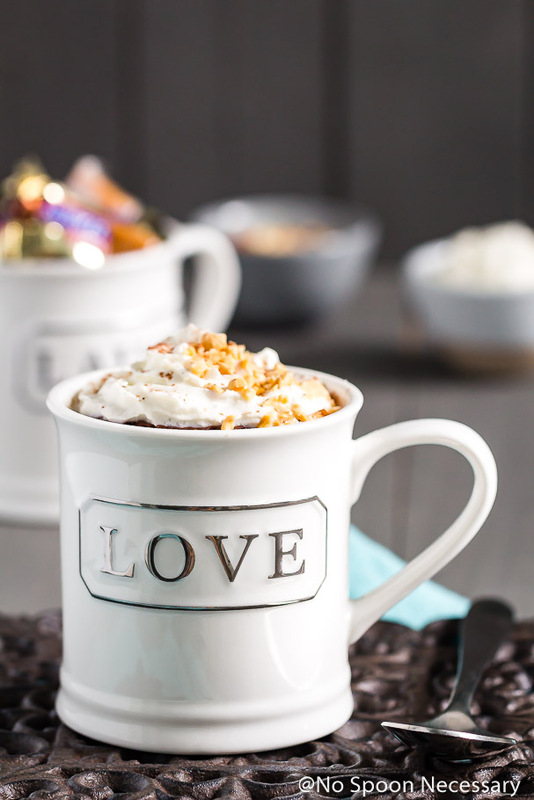 Made with the convenience of the microwave, this Snickers Lava Mug Cake is a great way to use up leftover Halloween candy! In a small bowl combine: flour, sugar, cocoa, baking powder and salt. Add egg, milk and vegetable oil. Whisk to combine. Transfer 1/4th of the mixture to a regular sized coffee mug. Drop one mini snickers into the center. Top with another 1/4th of the cake mixture. Drop the caramel into the center. Top with another 1/4th of the cake mixture and another snickers. Top with the remaining cake mixture. 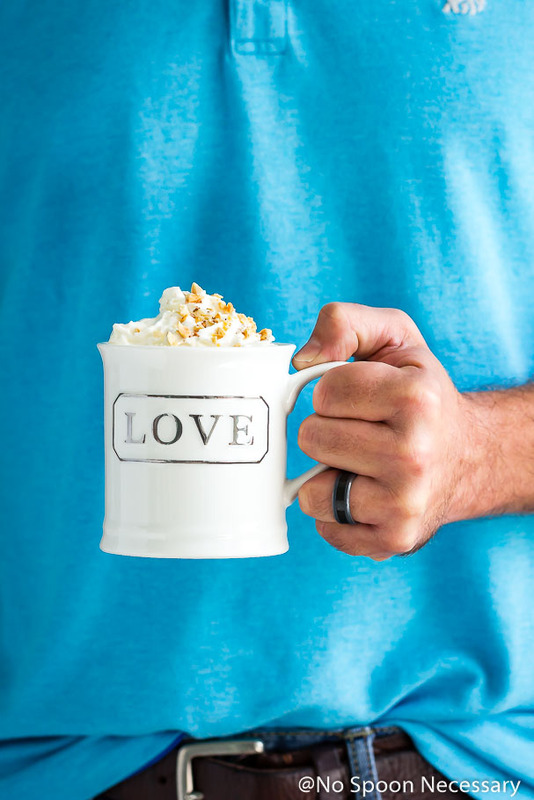 Place mug in microwave and microwave on high for 1 minute and 15 seconds to 1 minute and 30 seconds, microwaving it in 30 second increments to prevent it from spilling over. Check mug cake, if batter is still too gooey, microwave an additional 30 seconds. But be careful! You want the mug cake to still be a tad bit gooey and not dry/overcooked. Top with whipped cream, roasted peanuts and salted caramel sauce. Enjoy! The cake will rise significantly while microwaving. To prevent it from spilling over, make sure you microwave it in 30 second increments. Also, using a tall coffee mug is recommended. 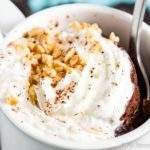 I love how easy this lava cake is and that mug just makes me love this chocolatey snickers cup mug even more!! Take care!! 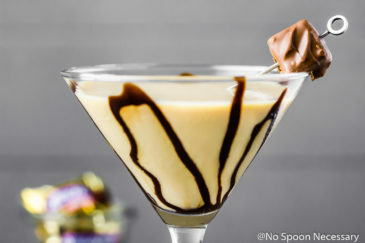 This looks so good and it will be perfect for all that leftover Halloween candy! There are no words for this except maybe one…love! Another great video, Cheyanne! I don’t have that much of a sweet tooth but I want to dive into all that chocolate. I always have left over Halloween candy so this would be a great way to use it up! Two years have passed, but this still looks fabulous (probably even more! ), Chey. Once again I’d like to say you’re brave to have started making videos. Video recipes are so great. There’s only one question – how many snickers bites did you eat while filming it (I know, you’re allergic to chocolate, but anyways)? :) Happy Monday! I’ve got it bad for Snickers, and now I’ve got it bad for this mug cake too. It’s going to be haunting my dreams for sure! I guess I have no choice but to buy a bag of Halloween candy (twist my arm) and eat mug cakes to my heart’s content :). Have a great week, Chey! I remember this one! And what a delicious one it was. Perfect for all the leftover Halloween candy! I love the updated photos (that mug!) and the video of course! You go girl! Such a fun new video! And such a fun cake – definitely needs to happen this Halloween! I really Love that the photo of all the ingredients!! It’s really unique idea. Impressive really. 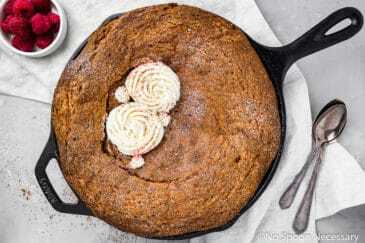 Loved this recipe so much as I am really fond of chocolates so I can eat this Lava Cake every hour. xoxo. Really loved this recipe. I would love you share this super awesome recipe with my friends and family members. 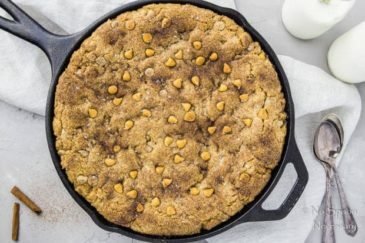 Bookmarked this recipe of yours. Best wishes and Regards.